Visit Cornwall is offering a fresh view of the Duchy – live from a drone. Visit Cornwall is teaming up with Aerostream, which has developed a set of live streaming services, to take you on a journey through the skies of Cornwall in a “risky, yet unique way”. 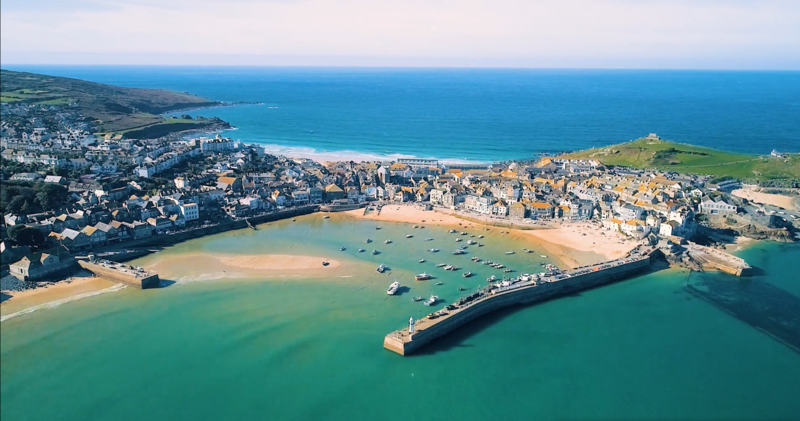 In what is believed to be a UK first, you will be able to join Visit Cornwall live through Facebook on three flights over Newquay (June 13), Falmouth (June 14) and St Ives (June 15), beginning at 7pm on each evening. Each flight is expected to last between 20 and 25 minutes. Aerostream is part of Bad Wolf Horizon Ltd, a Cornish aerial media specialist. Bad Wolf Horizon’s 2017 show reel was viewed by over 150,000 people and shared by over 1,000 people on Facebook alone, making it the most viewed drone video in the south west. For more information and updates, find Visit Cornwall’s Facebook event page.